OWERRI—BARELY one week to rounding off the on-going registration of eligible voters across the country, the probability of having many people being disenfranchised in Imo State, stands very high. When Vanguard visited some registration centres in Ikeduru, Owerri Municipal, Owerri West, Owerri North, Ngor Okpala and Mbaitoli local government areas yesterday, the story was the same, as many people were still struggling to either register or collect their Permanent Voters Card, PVC. Those who spoke to Vanguard at the centres visited, expressed serious concern that many people will be disenfranchised, unless something urgent was done by the management of the Independent National Electoral Commission, INEC, to address the situation. At Owerri Municipal Council Headquarters, Vanguard spotted over 400 persons, struggling to get registered or collect their PVCs. Another prospective voter, Dan Ukaegbu, reasoned that the situation appeared to have overwhelmed the INEC officials, especially as the registration exercise would end August 17. “As we speak now, I have spent about four and a half hours without getting the required attention I need. Some others obviously arrived here before me and this means that they must have wasted over five hours in this place,” Ukaegbu lamented. He passionately appealed to INEC management to deploy more voter capturing computers in all the registration centres, especially in the urban centers, to accommodate the large number of people, who have suddenly shown interest in the exercise. “INEC should please, deploy more equipment and personnel to the centres, to enable all prospective voters to register and go back to their places of business. Many people are still unregistered to vote in the 2019 general elections,” Ukaegbu said. Similarly, Cyril Ishiokwe, said he arrived at the registration centre before 5.30am and had stood for over six hours, without achieving his aim of getting registered. “I have been here since 5am today (yesterday). I am surprised that there are two different lists being written here. You may register as number 15, but before you know what is happening, it would change to 50. What is worse is that the INEC officials are no longer as fast as they used to be,” Ishiokwe claimed. Reacting to the situation, the INEC Public Relations Officer in Imo State, Mrs. Emmanuella Opara, disclosed that over 250,000 people have been registered by the commission since the exercise started in April last year. She attributed the sudden rush to the August 17, 2018 deadline for voter registration. “In order to accommodate this last minute rush, the Commission extended the time for the registration, from 9am to 5pm daily. We now register on Saturdays and Sundays. 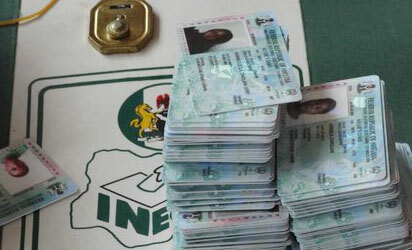 Meanwhile, collection of PVCs continues until a week to the general elections,” Opara said.